Most companies use webinars as a way to generate more leads for their business. However, they often forget that it can be a content marketing strategy as well. If you intend to use Onstream webinars as a way to inform people about the products you have to offer that require long sales cycles, you need to come up with a plan. Heading into a webinar without a plan is inviting chaos into the mix, creating more problems for everyone involved. When it comes to industries that require some thought into the purchasing cycle, webinars can be an important way to find out exactly what you need to know. The webinar in this case isn’t something that is looking to provide information to people who are already interested in the product; instead, it is focused on providing information for a wider audience that may not be ready to commit to the purchase. 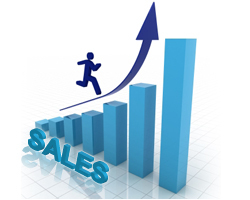 This type of webinar comes into play primarily when you are dealing with major purchases that require a large amount of research to purchase the right product. For instance, when it comes to the purchase of software for a large business, you need to make sure you are choosing the one that will serve the business best and provides the most value for the money. Through a webinar, the person in charge of making this purchase can use webinars to gather general information relating to the field and specific information about a product. These important sales rely on a mixture of branding and sales tactics to help consumers decide if this is the right product for them. However, without the use of a webinar, you are leaving out important information. A webinar allows you to really show viewers what the product can do and provides an easier way to answer questions and provide the information consumers need to make an informed decision. 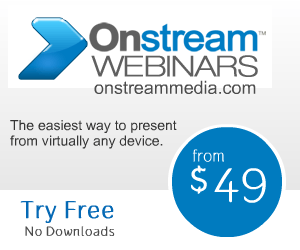 Onstream webinars are simple and cost-effective, as well as engaging through the use of Q&A sessions, chats, and polls.